The DENING® [DENIM + MOVING] is a high-tech, authentic denim pant guaranteeing unbounded freedom of movement. Incredible elasticity, shape memory, a cut studied to increase the stretch effect: they're the most cool and comfortable pants designed to date. The APPEAL DENING is an ultra feminine skinny pant that highlight the silhouette. On the interior of the waist is sewn a PULLIN SELVEDGE Jacquard elastic waistband that illustrates the brand's identity, while the exterior has belt loops. Closed by a button and zip y. 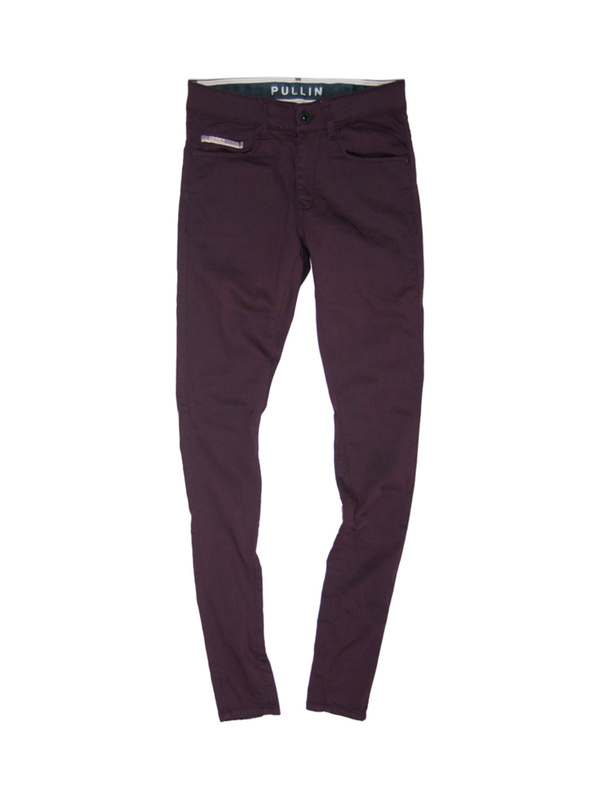 This pant also has a PULLIN woven label is sewn on the bottom of the rear right pocket.